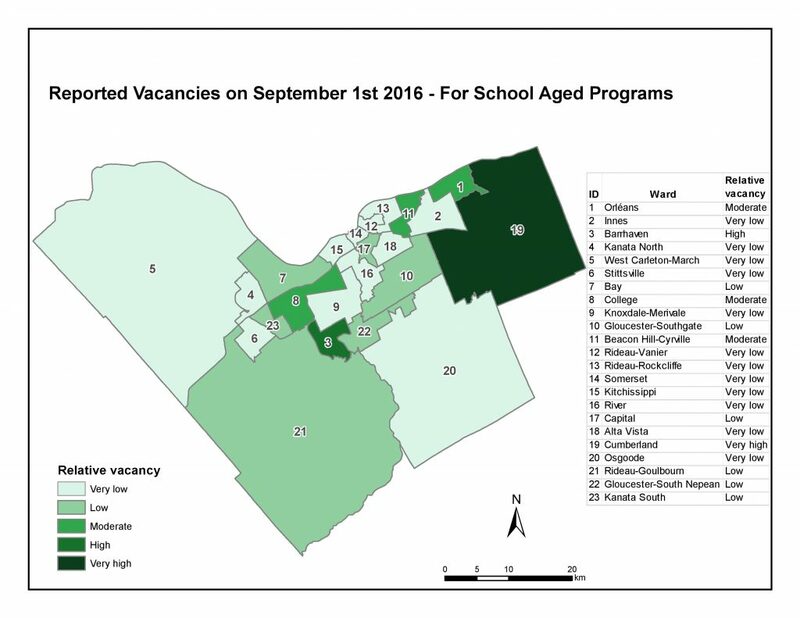 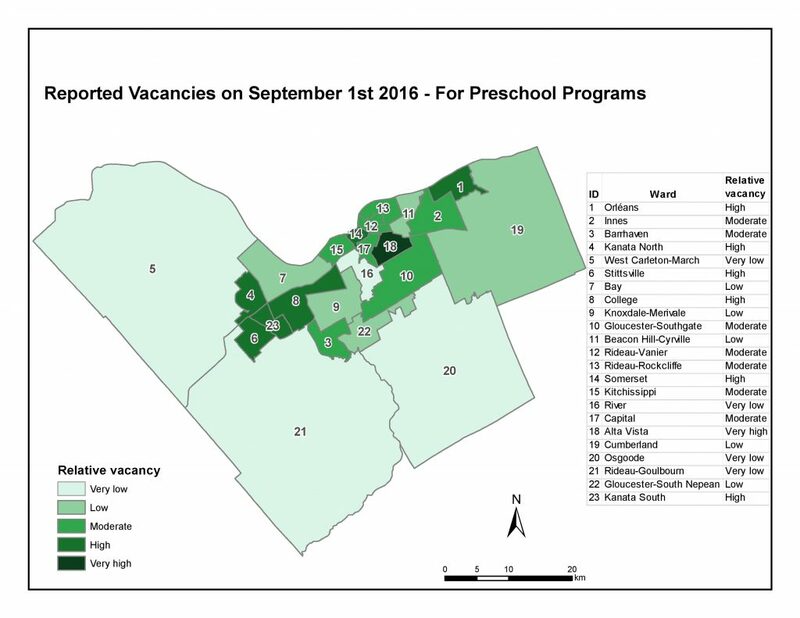 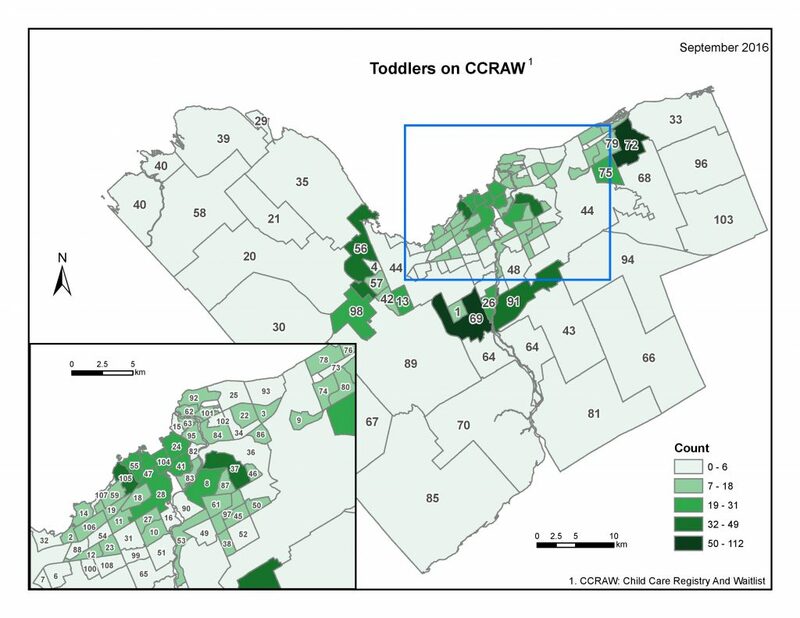 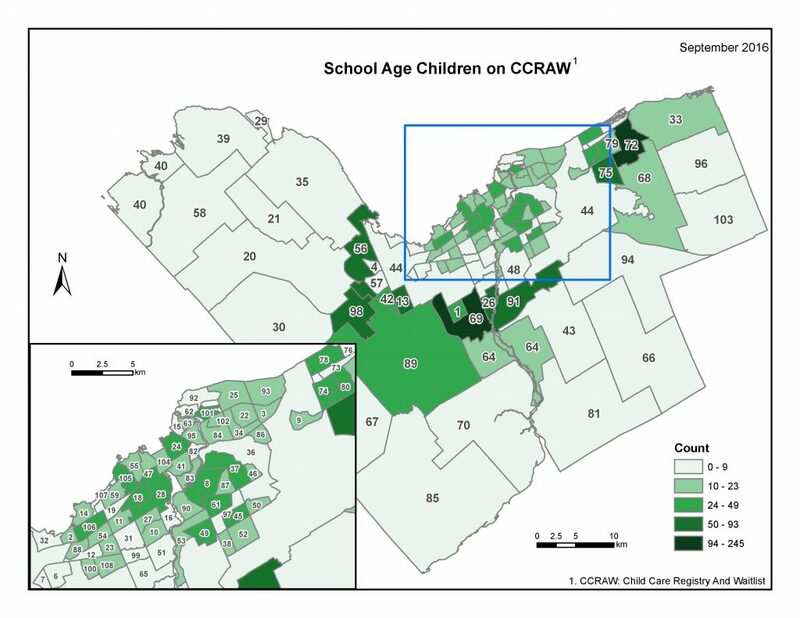 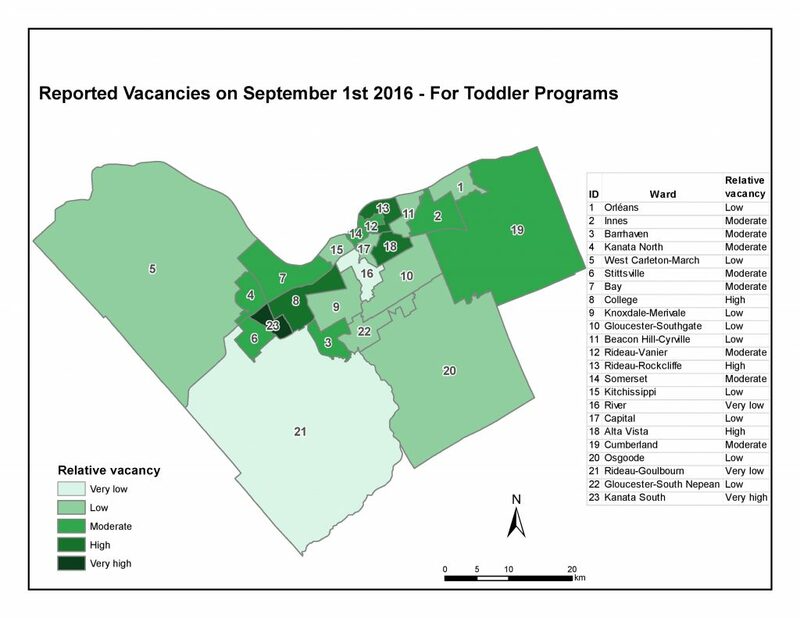 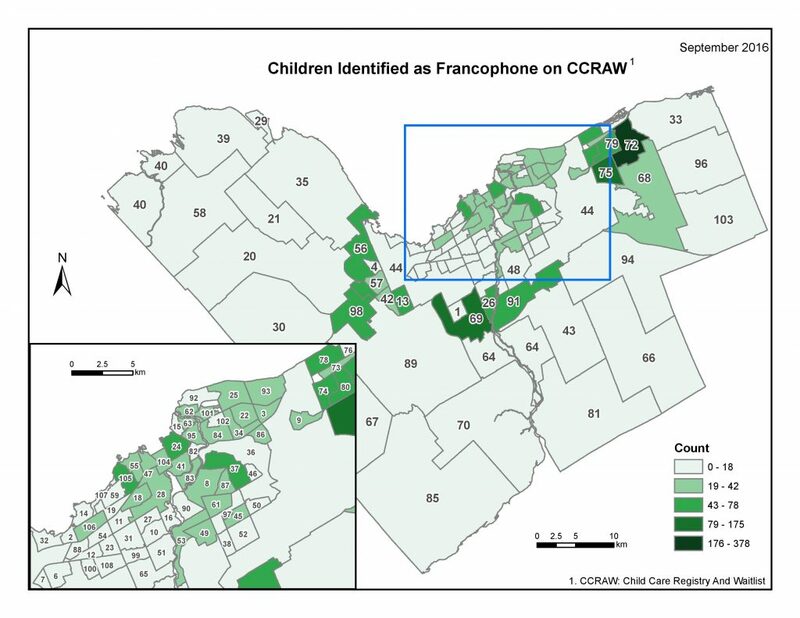 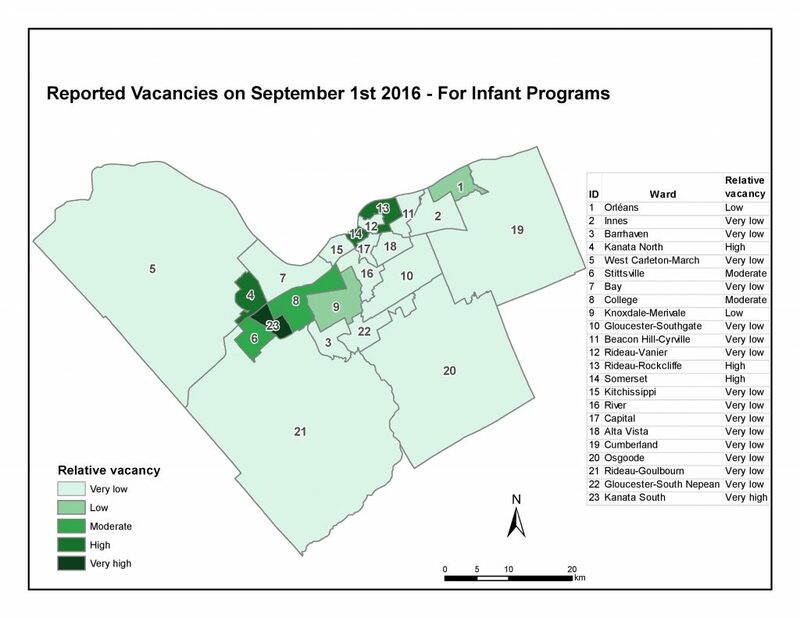 The ONS is contracted by the City of Ottawa to provide data relating to child care in Ottawa. 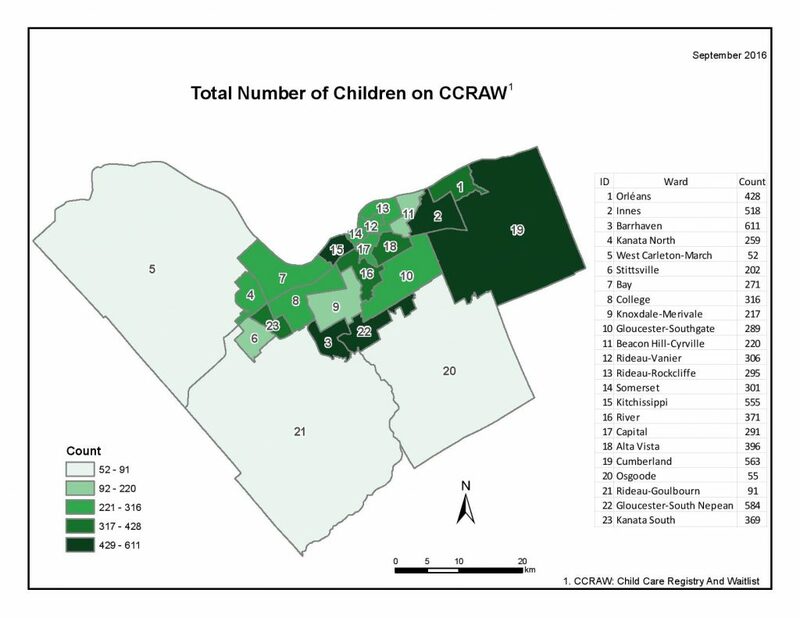 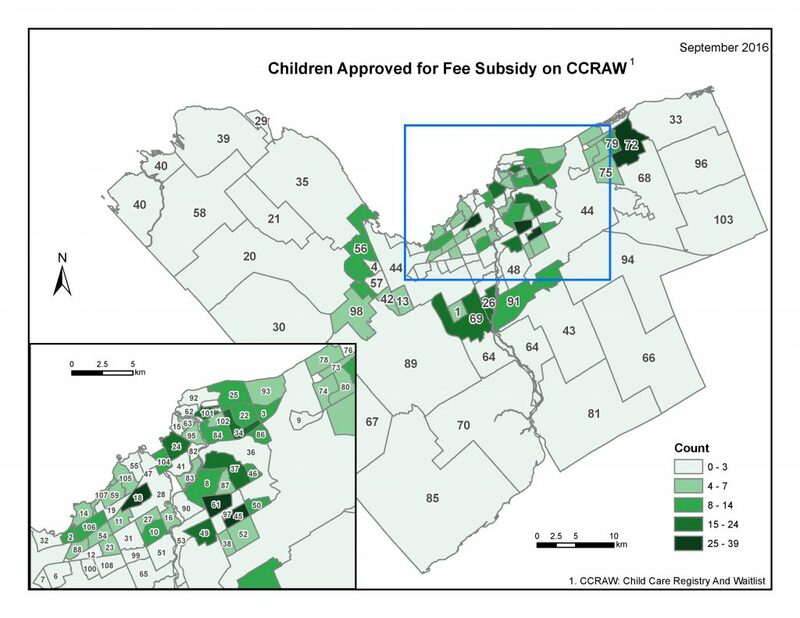 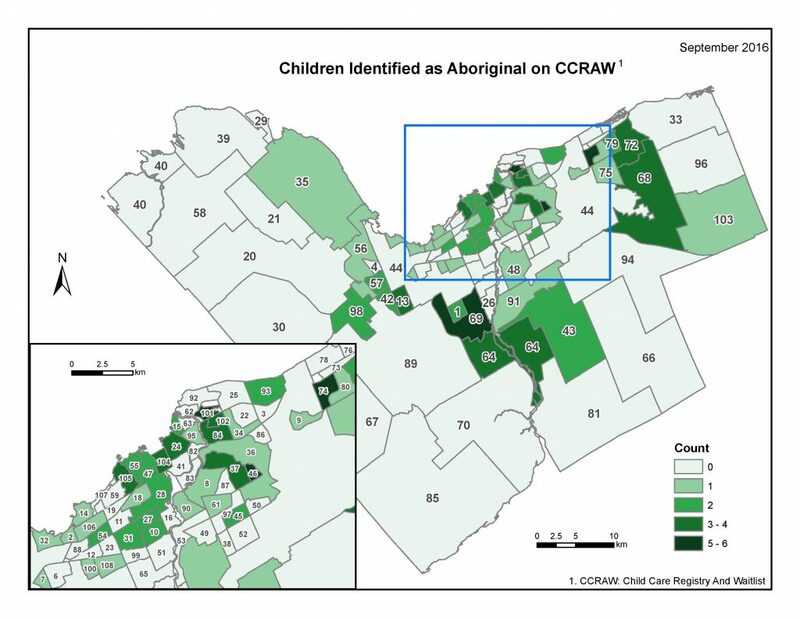 Children registered on the Child Care Registry and Waitlist are de-identified and aggregated at a neighbourhood level to represent child care needs in neighbourhoods. 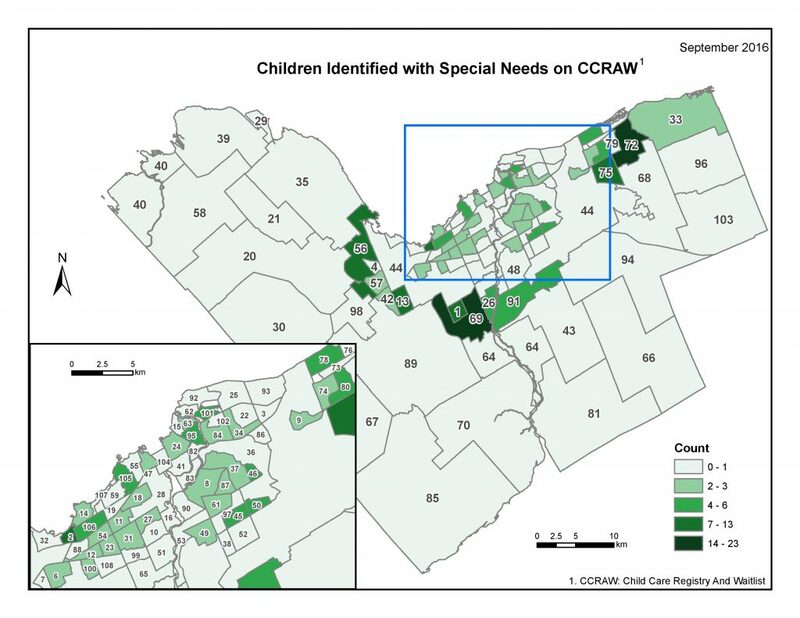 This information is valuable for planning by child care service providers by comparing the needs of children in their neighbourhoods to the services the agencies have available. Profile the neighbourhood in which your agency provides service by examining the number of children on the waitlist who are: approved for fee subsidy, francophone, identified as aboriginal, identified with special needs, infant children, toddlers, preschool children, and school age children. 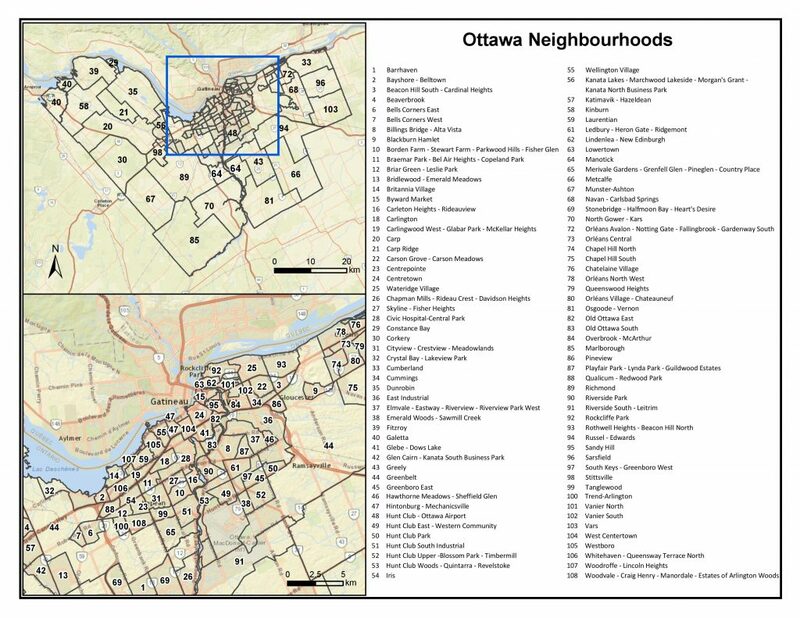 Compare this information to where services are lacking in these neighbourhoods by looking at a neighbourhood’s total capacity for each of these indicators.